Dig it man! 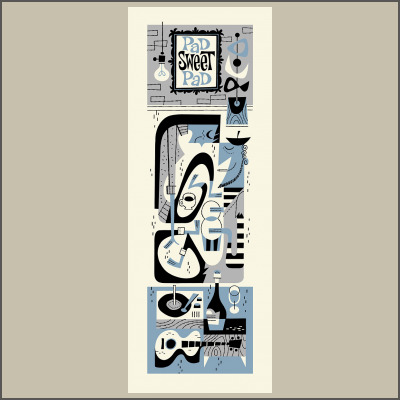 Like there's nowheresville like Pad Sweet Pad - created by our own Derek Yaniger! 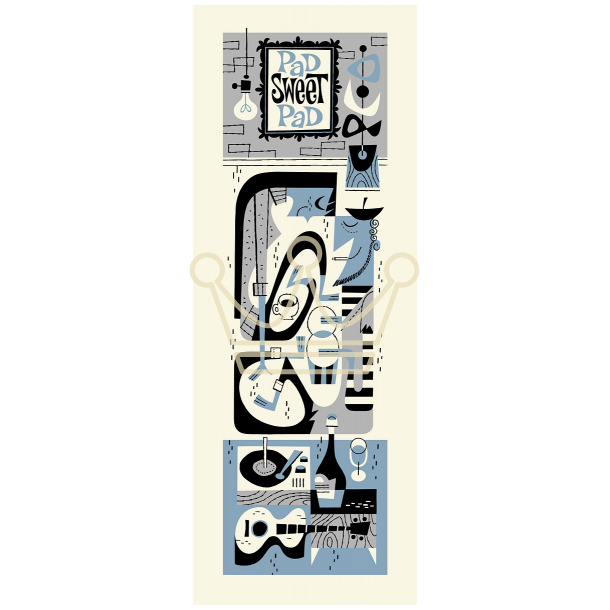 This collectable three color silk screened serigraph is printed on heavyweight French archival paper and measures a slim 8.5" x 23" all signed and numbered by the artist in a limited edition of 100.